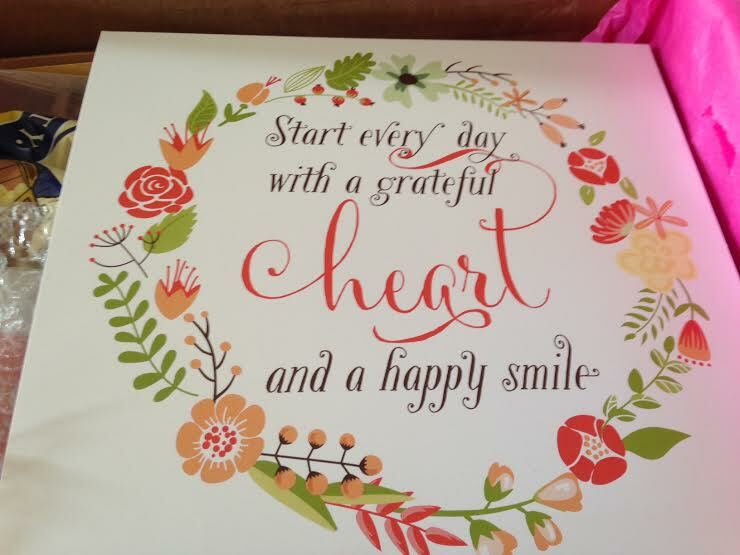 Happy Mommy Box always includes a little hanging-up worthy quote. I thought this one was sweet, and I am going to pass it on to a certain friend who would like this one very much. 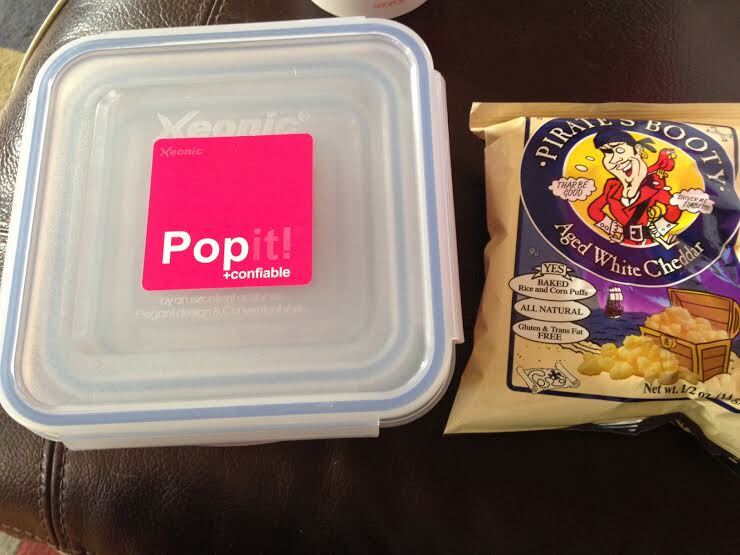 Pop-it airtight containers: ($15) As far as I’m concerned, it would take a lot of portable, lidded containers before we ever had enough. I have great sets of OXO stuff that I used to use when I made baby purees all the time, but those are actually getting kind of small for bigger kid portions. These are awesome. 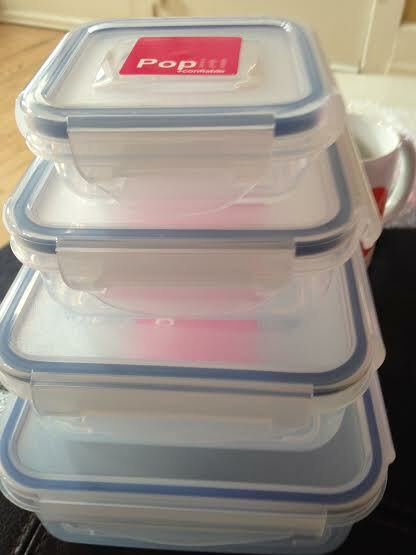 Airtight, microwave and dishwasher safe, great sizes and great for storing. They get awesome reviews on amazon, too. Pirate’s Booty: ($0.75) Pirate’s Booty is basically a staple around here, so an extra never hurts. We don’t give our son this everyday, but it is his favorite, and it is simply organic puffed corn and cheese, not the most healthy thing in the world, but not candy and Chee-tos either. We definitely never take a day-trip or airplane ride without Pirate’s Booty. 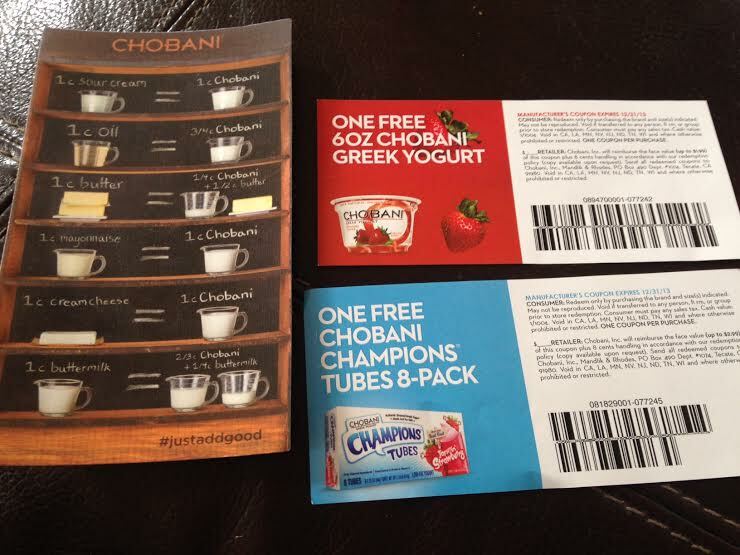 Chobani magnet and coupons- So, I did not assign a value to this because, while I was SO excited for free yogurt coupons, especially for something we love and buy, these coupons are EXPIRED. They have a date of 12/31/13, and guess what, it is 2014. It’s weird how disappointed I felt about this. Obviously, it is not the end of the world, or even a big deal, but it is just an attention to detail thing that I found kind of lame. The magnet is cool, as it gives all the conversions to use when using Chobani to replace things like oil, sour cream, mayo, etc in recipes. It is on the fridge, and we will use it, but the expired coupons are annoying. Mug from CrystalFaye.com: ($18) Ok, so at first I thought this mug was a promo item since it has the website printed on it so prominently, but they do sell these on their site for $18. It is cute, but not totally my thing, plus, if I am going to pay $18 for a mug, I think that it should just have the cute saying on it and not be an advertisement. Am I missing something? 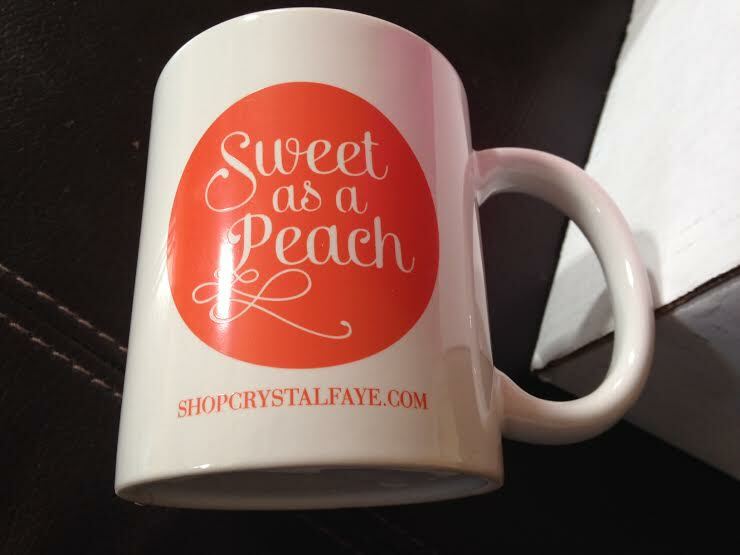 Is CrystalFaye.com such a cool thing that it is cool to have it on the mug? I have been super unaware of cool stuff like that before, so benefit of the doubt and all. I will pass it on to my friend from Georgia, who will like the cute, peachy design. Love both of these cute jewelry items! 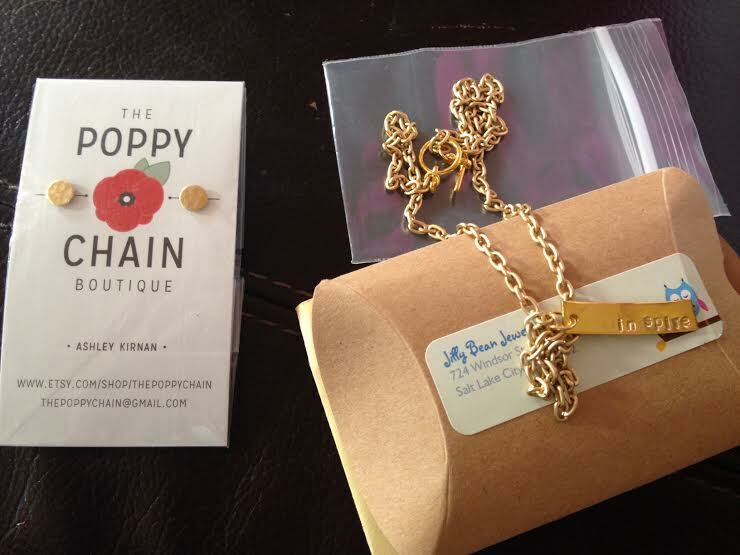 The Poppy Chain hammered brass stud earrings: ($7) These are so cute and versatile. I love little studs like this, especially for just running errands, you know, those times when you are probably going to wear yoga pants and tennies but still want to look a little girly and like you put some effort in. Wait, am I the only one who does this? I also love earrings like this for when I am wearing a big statement necklace. This shop has tons of cute stuff, too. 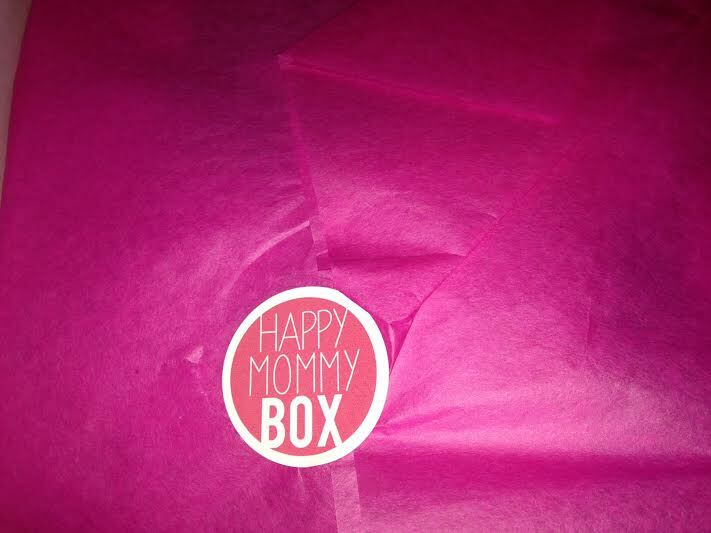 Yay for discovering new etsy artists, something Happy Mommy Box is really big on. Jilly Bean Jewelry necklace: ($9.99) This is a cute printed necklace that says inspire on it from another indie jewelry maker. I love the gold, and the matted gold chain is cute, too, and is long enough that it can be worn over a collar as is the trend right now. 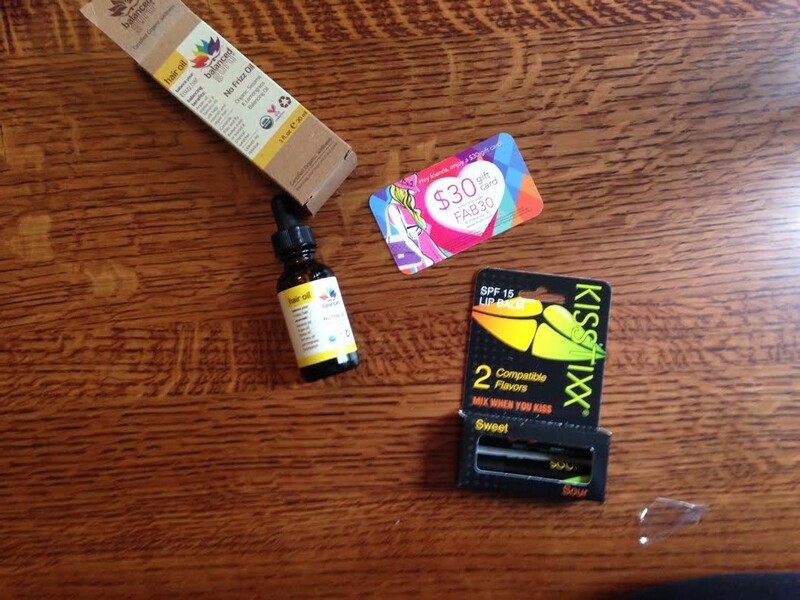 All told, the January Happy Mommy Box had a value of about $55 for the $29 price tag. I was pretty annoyed by getting expired coupons, but the cute jewelry makes me happy, and I love the containers. 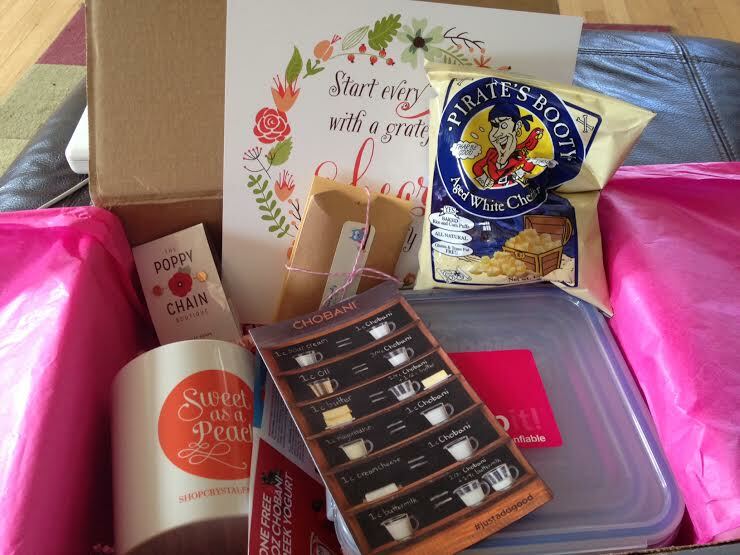 I am going to give this box another month, since I know they are still starting out and I like the concept. 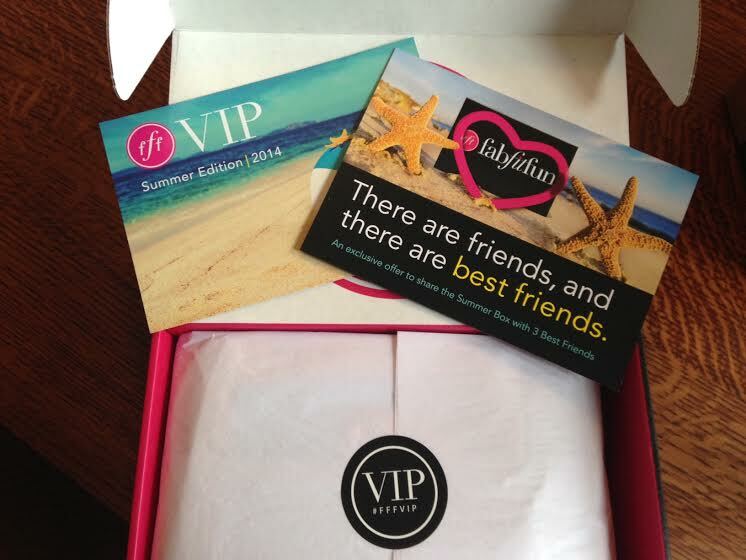 They do promise to send their monthly magazine in each box, and that was not here. Not sure if it was just forgotten or if there wasn’t one this month. Looking forward to seeing what these ladies can bring. 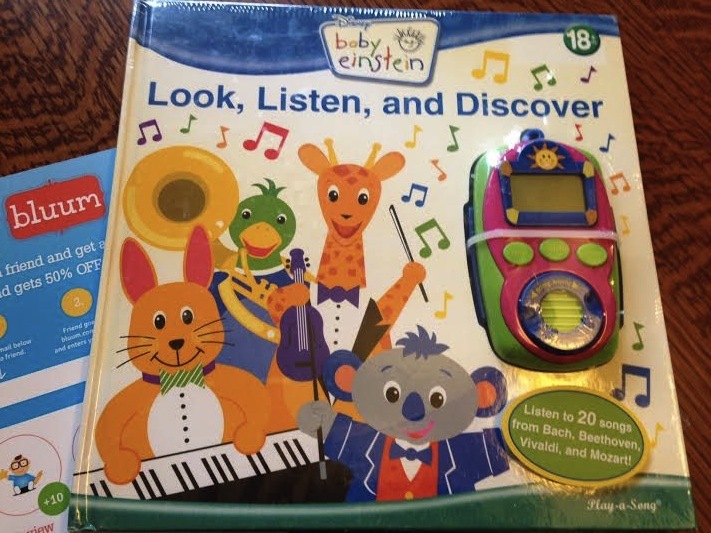 Baby Einstein Look, Listen and Discover book and song player: ($14) D will love this. He is super into music and books right now and has just started sitting down with books and “reading” on his own. He is going to have a great time with both parts. 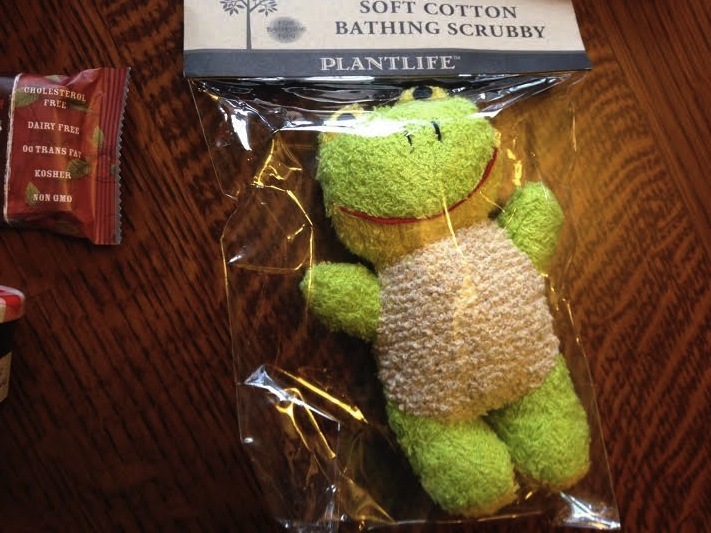 Plantlife Ramie Frog bath cloth/toy: ($4.50) This is so perfect for our bath-loving guy, and for some reason, it has never occurred to me to get anything like this. I can’t wait until we get to use this for the first tub after our Christmas trip. D is going to have a blast with it. 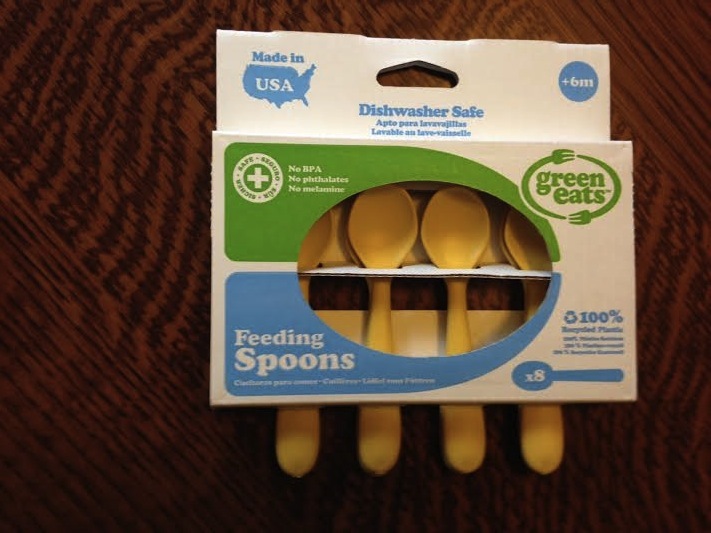 Green Eats Feeding Spoons 8-Pack: ($5.58) These are along the lines of take-and-toss sippy cups. You can wash them, but you can also just toss them away (or lose them, as we are more prone to around here) without too much sadness. We will be taking a few of these with us when we fly out of town on Wednesday. Perfect timing on this one, and no worries about losing our good toddler spoons. Nature’s Bakery Fig Bar: ($1) This was one of the mom items in the box, but it will probably go to the child anyway. I like stuff like this, but so does D, and I like snacks that I can grab for him and throw in my purse. Bonne Maman Preserves mini: ($0.69) This will probably come out of the drawer at some point during the summer for a picnic. We already use this brand and have the big jar in the fridge, although it is more a baby item, too, because it is one of the ingredients of PB &J. 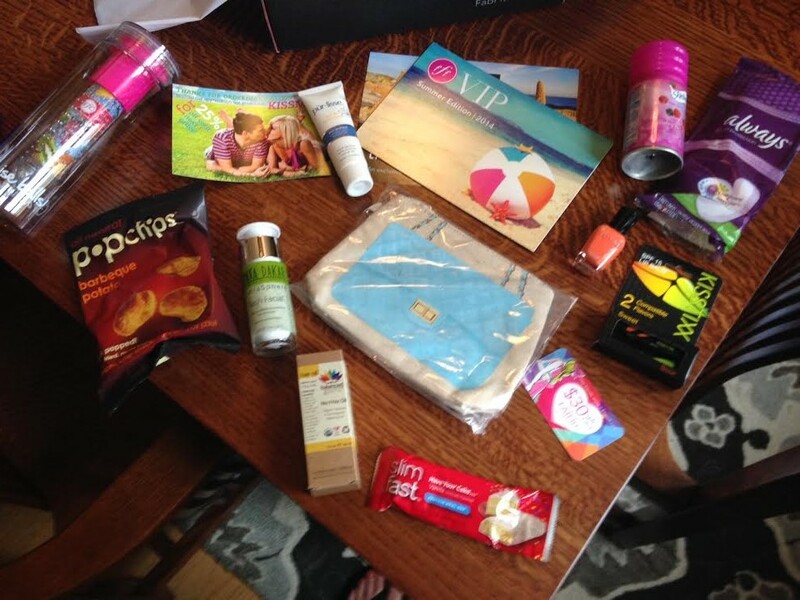 All told, the December Bluum Box had a value of around $29 for the $25 price tag. 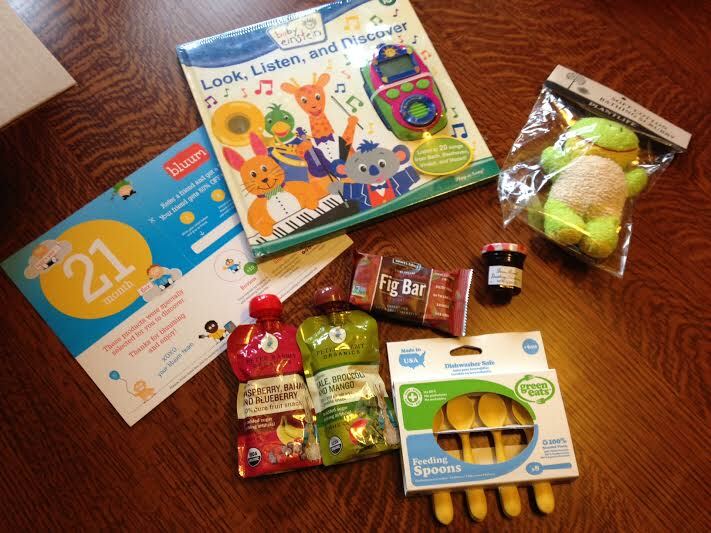 I usually expect a bigger value than that for the kid boxes, but I did discover some new brands I like, and there were things in there that D is just going to love. I also love the email they send outlining everything in your box. They send it right after it is delivered so you are still surprised. The “mom items” this month are not really what I would call mom items; I think most moms I know would give both of these things to their kids just like I will, and to me, that is not a real mom item. Come on, spoil me a little; give me some lipgloss or something I will not immediately pass on to the toddler at my feet who is saying, “mine? this mine?” over and over again. 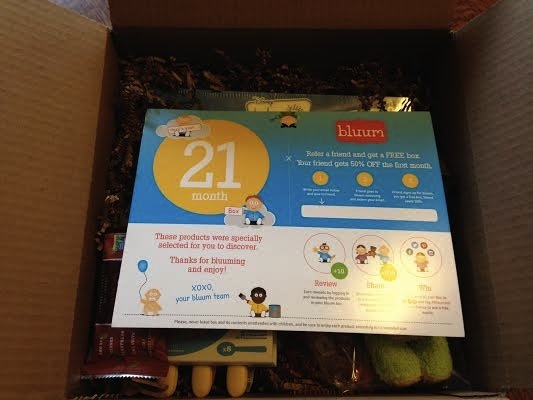 That being said, I do like Bluum Box and am excited to see what is next! YAY! 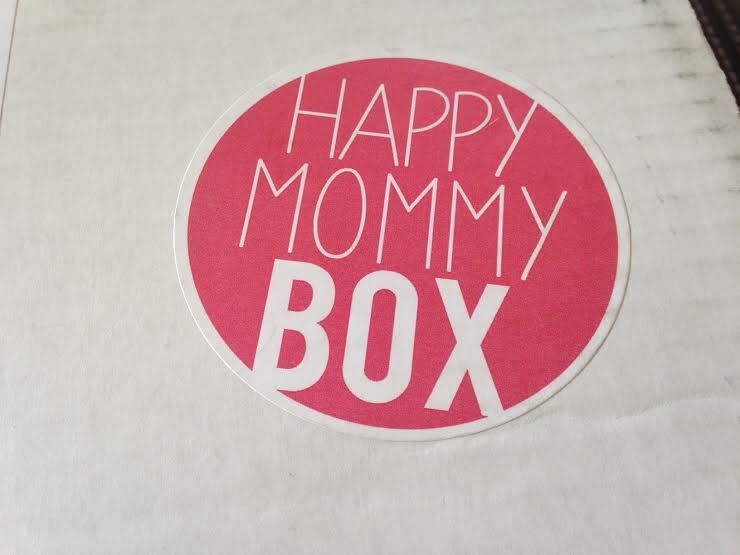 The Happy Mommy Box has arrived. 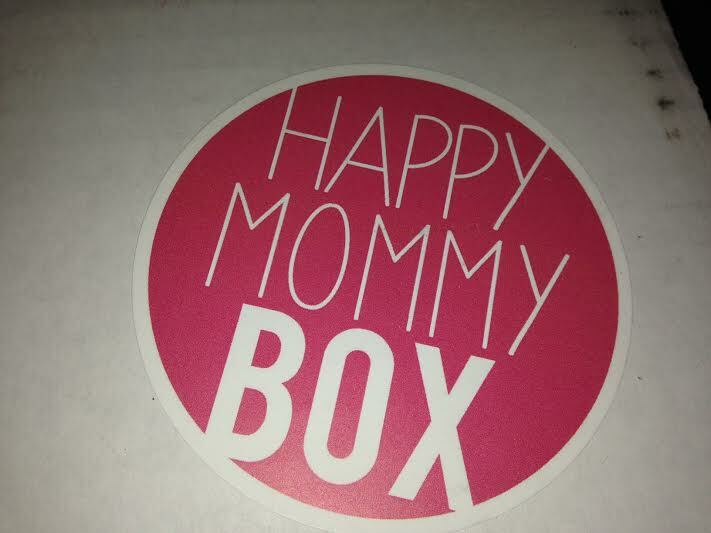 This is my first Happy Mommy Box from this new subscription box company. I was on their waiting list for a few weeks, and got this one late last night via UPS. It is a really fun box. Ok, I lied. This photo is not that much better, but here goes anyway. Kiki LaRue Pearl Earrings: ($15?) I am estimating this price because I don’t see these earrings on their site. I do see lots of other cute stuff, though. These are a nice size, and I think they will look lovely with my holiday party outfit for Saturday. 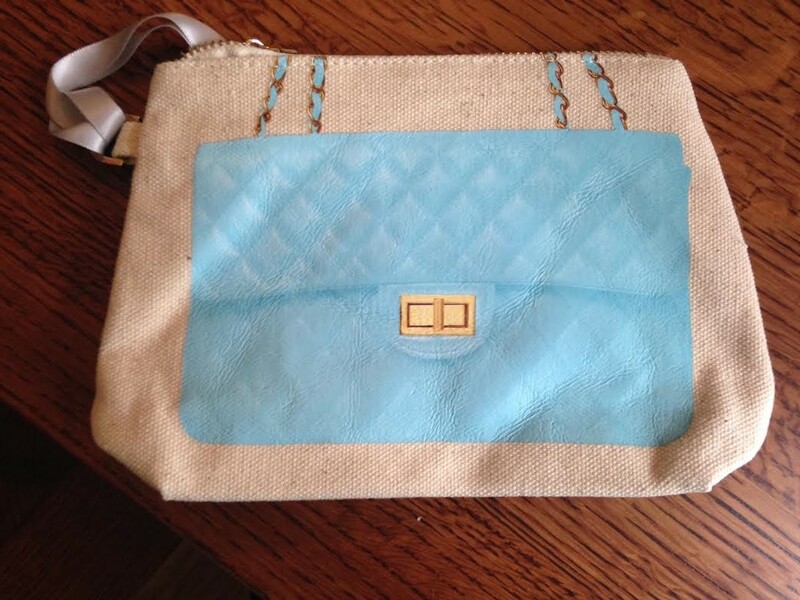 There is also a coupon code included for 10% off a purchase at kikilarue.com. Nice! 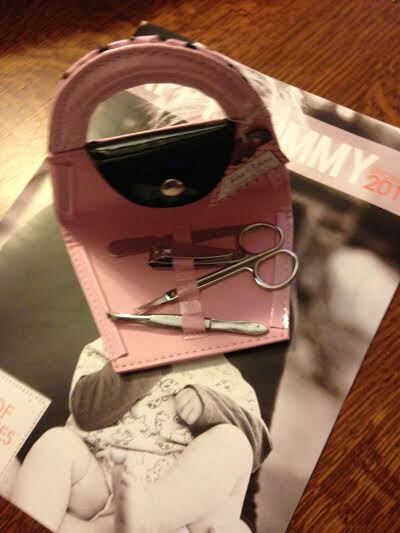 Clippers, file, tweezers, scissors; the gang’s all there. 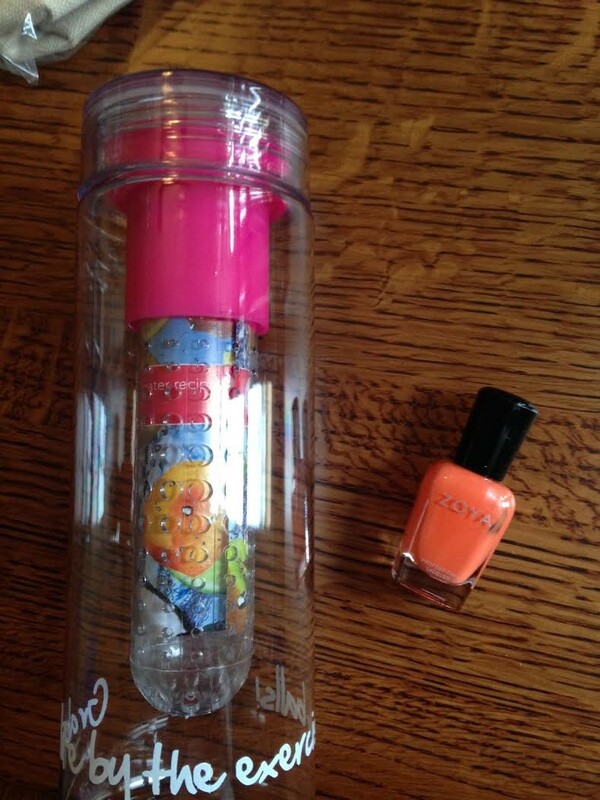 I will probably not use this, but it will make a great addition to a nail polish gift, something I give often because of the nail polish I get in my boxes. Cute. 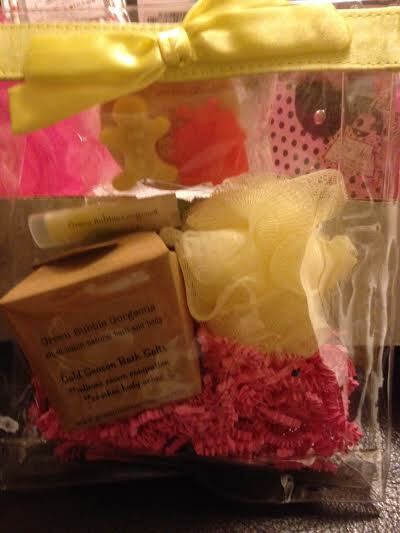 It smells amazing and contains two small holiday soaps, a lip balm, natural “Cold Season” bath salts, and a mini shower pouf. 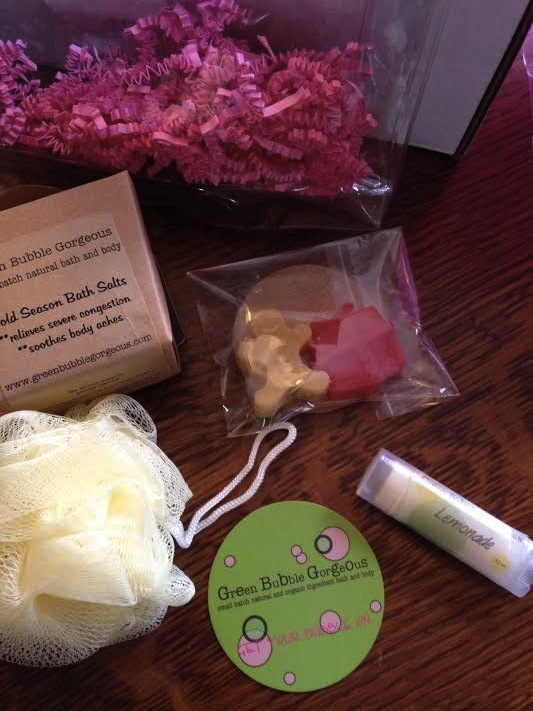 All packed in a cute little reusable plastic gift bag. I think the bath salts would be so nice to give with some of my awesome homemade chicken soup next time a friend is sick, and I want the lipbalm for myself as always, so I am breaking up this cute little set, but it is super cute, and I love to discover new artisans. Score. 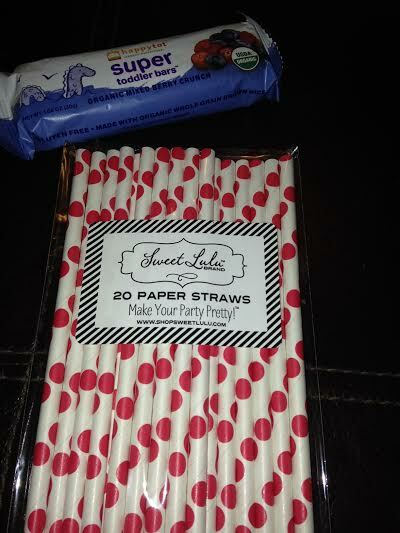 Sweet Lulu Paper Straws: ($4) I love paper straws, and I will be putting these at the bar at our big annual holiday cocktail party on Saturday. This cute little, New-York based party shoppe has adorable things if you love entertaining like I do. 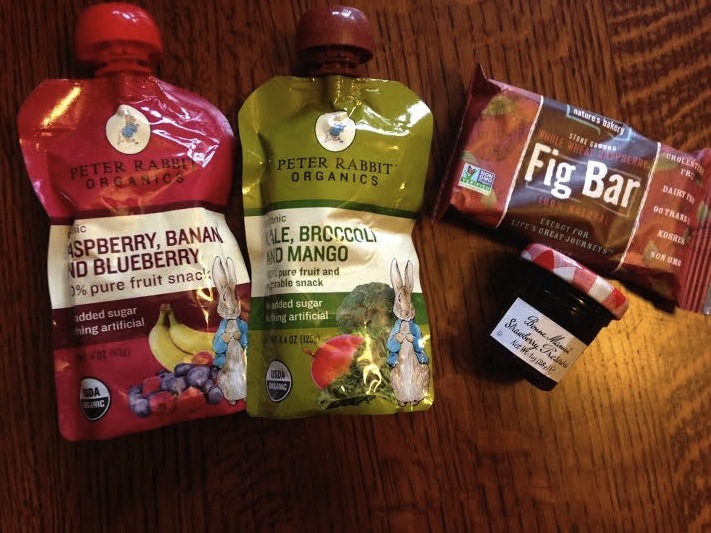 Happy Family Toddler Bar: ($1.50) This berry toddler snack bar will get eaten as soon as it is seen by my 20-month old son. We jokingly call him Baby Bear because he eats so many berries, so we got the perfect flavor for him. These bars are organic and gluten free. We buy their pouches fairly regularly, but this will be the first bar of theirs we’ve tried. The box also included a few grocery coupons for Happy Family items, as well as a handy card for the fridge that reminds which fruits and veggies are the most important to buy organic. 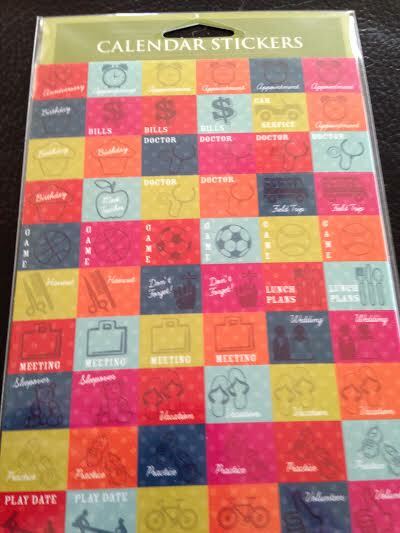 Calendar Stickers: ($3) This is a handy set of stickers for the calendar with all the appointments and social outings that a mom might need to put on her schedule. I will probably gift these since I don’t use a paper calendar, but they are super cute. They also come with a 25% coupon code for pikcal.com which I may use on a photobook if I ever get it together enough to actually put one together. 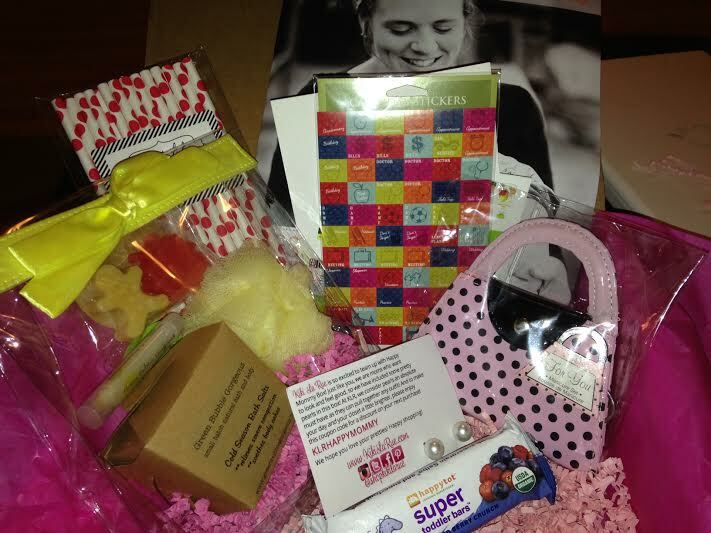 Happy Mommy Box also includes their magazine and a little hang-able quote in each box. This month’s quote says Bless Your Heart, which makes me laugh because it is what my friends and I jokingly say when someone is a hot mess. And guess what? 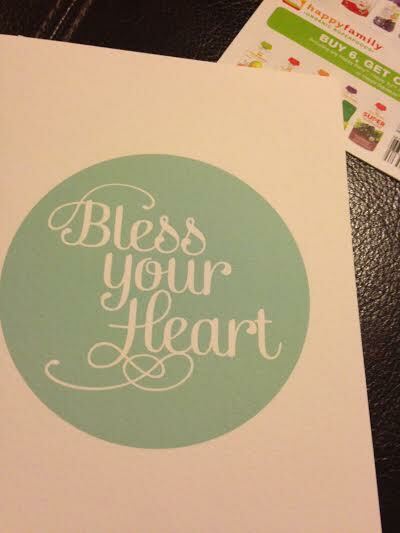 I am a hot mess on a regular basis, so my heart needs blessing, too. In addition to all of the items in the box, there were coupons, too, most notably one for Mom and Pop photo school, which I clearly need after the crappy round of photos for this post. (not sure what the deal is today, but I’m blaming the weather and weird light right now) This coupon offers discounts on the Mom and Pop courses, as well as a free download of their 27-page guide, called Mom’s Guide to Great Photos, valued at $29. I will definitely download this, because I know if I could just get some basics, I could be a rockstar with my fancy camera. All told, the Happy Mommy Box had a value of around $50 before the photo school download coupon, and $79 if you include that, which I am since it does not require a purchase. For the initial $58 dollar price tag and $29 monthly thereafter, I think that is a great deal. In addition, I discovered some new small businesses, I am patronizing a new subscription box company, and I love the quote and magazine, too. All super cool things. This might just be one of my new favorite boxes. A Happy Mommy, indeed. 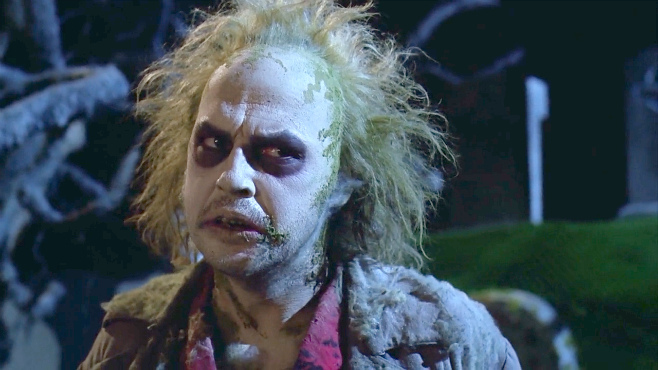 Mommy Mondays- Make Me Over, Someone! Because I am a writer by trade and by brain, I have chosen Monday as the day that I will take a short break from reviewing subscription boxes and talking parties and stuff to write a bit about life as a mom, toddlerhood, family stuff, life stuff, basically anything I feel like doing a little babbling about. If you just want box reviews, feel free to keep scrolling, they are down there! While I have never been as trendy and fashionable as my best friend, I have always had decent taste in clothing and shoes. I have had my share of cute haircuts and great makeup days, and have even been called a fashionista, but lately, I am in a giant rut. While part of it is being unemployed, I also have this feeling that I am losing touch. I had been trying out wearing just the tiniest bit of makeup, thinking I looked natural and fresh. Then my dad took a photo of me and about eight of my girlfriends on Thanksgiving. What appeared on Facebook mere hours later (my 76-year old father is a Facebook addict) was shocking. 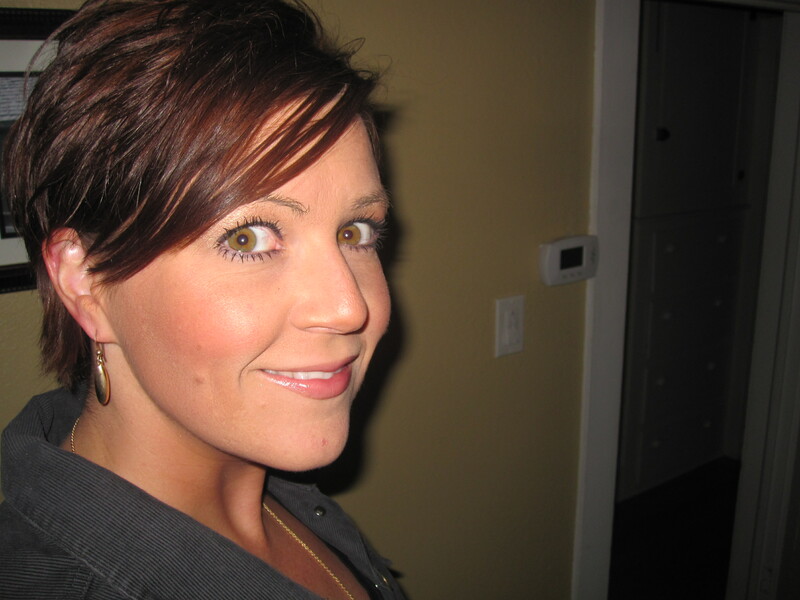 While most of my friends are sporty and not full-makeup girls, by comparison, I looked washed out and chubby and old. I guess that is the other part of it. 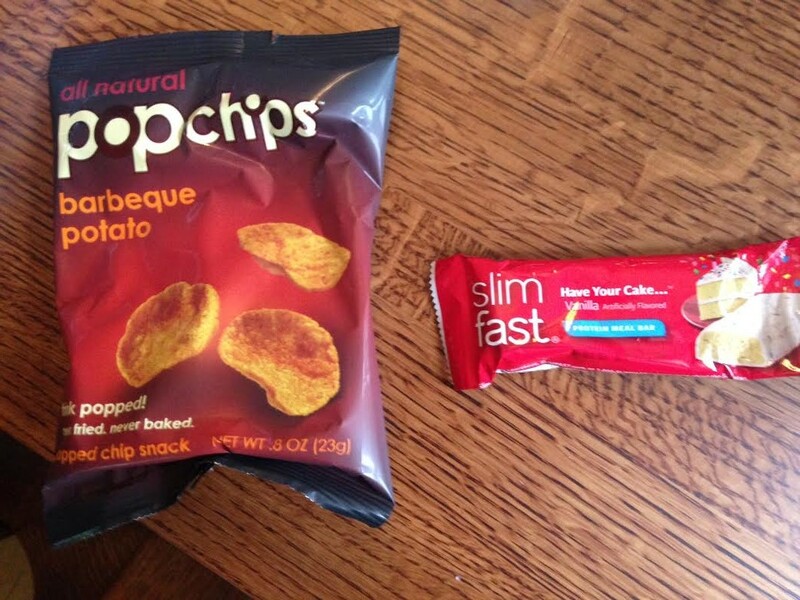 I have 30 pounds to lose, and I am struggling right now. At 6’1″, 30 pounds is this weird amount because it doesn’t make me obese, and I still wear regular sizes. Instead, it is just enough to make me feel constantly crappy about myself without ever feeling like it is an emergency to fix it. And it is all about food. I am active, work out regularly, and for the most part am fairly fit. Fat-fit. I keep committing myself, only to get sidetracked and worn out and fall into patterns of eating crap that I have no business touching. I know I’m not alone. And then, here is a photo I took of myself this morning. Granted, I have a cold and and I am still in my pajamas, but I’ll be honest, the finished product does not look much different than this lately. Frumpy-Mom-City! I need to get out of my rut, and while losing weight is a solid 60% of that battle, I need to figure the rest of me out, too. Without waiting for the weight loss to magically make me a supermodel. (that is what happens, right?) I made a cut and color appointment for this week, have sworn off yoga pants and running shoes unless I am actually working out, and am getting back to a little more makeup in my life. And guess what, my blowdryer and I now have a daily appointment. Eat right, move more, and do the things to yourself that that make you feel good about yourself when you look in the mirror. My husband and son deserve to have the confident, happy me around, but honestly, so do I. For Christmas this year, I give myself the gift of de-frumping, de-chubbing, and becoming the cute mommy I am supposed to be. 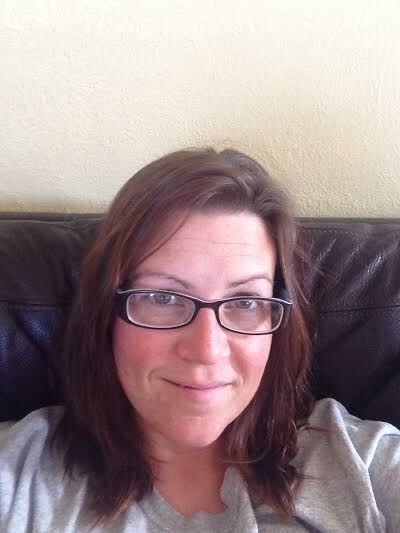 How would YOU make over this frumpy mommy? I’m in your hands. 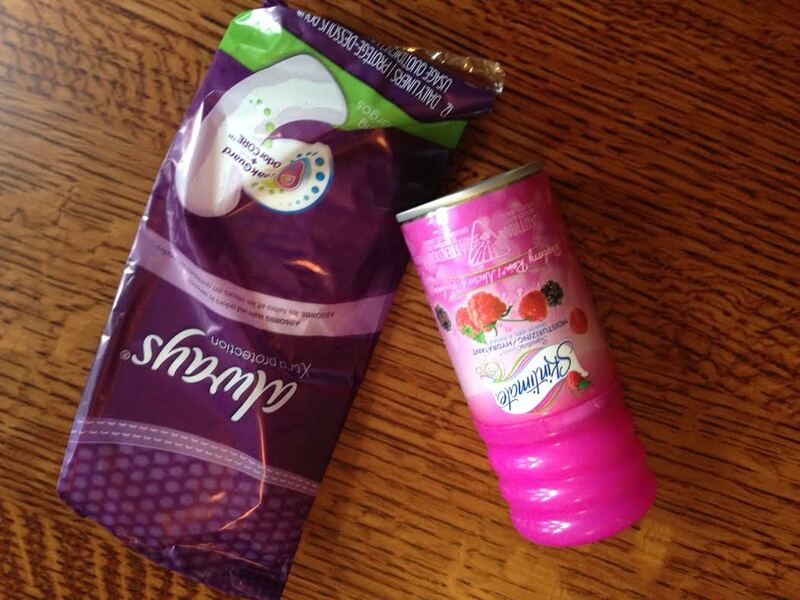 So, I am linking up with Jen at Ramblings of a Suburban Mom for the very first time. 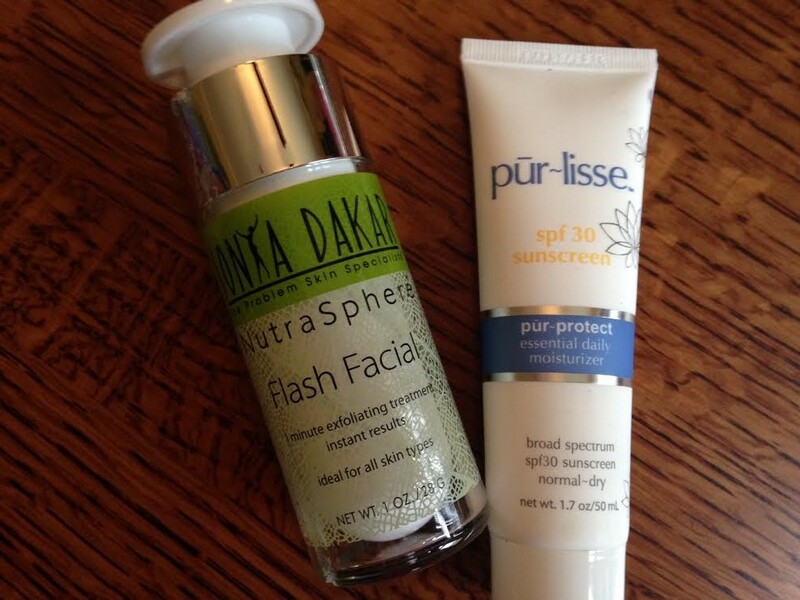 I have been following her blog for a few months as I was starting my own, and it is a lot of fun to read, both for her box reviews and for everyday feel-good fun. She is also a Target bargain genius. 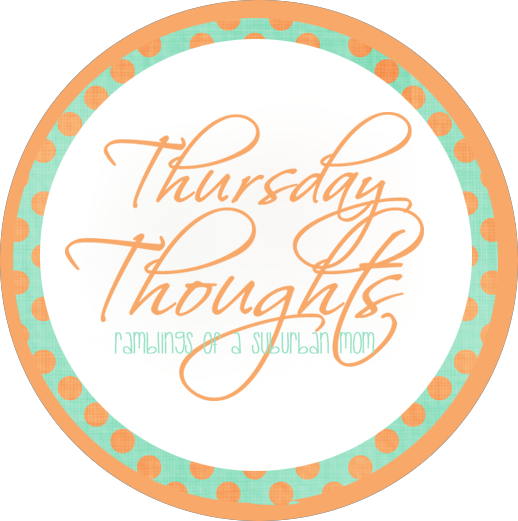 So, here goes, my first Thursday Thoughts. Speaking of big changes, I am also in a huge transition, having all but decided that I will try my hand at being a stay-at-home mom for a couple years. After getting laid off, the job market has been terrible for writers and I miss my boy. I am waiting to find out about one possible job the first week in December. If that does not pan out, then we are taking D out of school (we’ve kept him in thus far because they have an 18 month waiting list), and my life is going to totally change. I never thought of myself as a stay-at-home mom, but I am excited and, ok, kinda scared because I think it is way harder than going to the office. What the heck am I going to DO to entertain him all day? I’d better get crafty. But seriously, I got this. I had dinner and drinks with my BFF last night to celebrate her birthday and promotion. 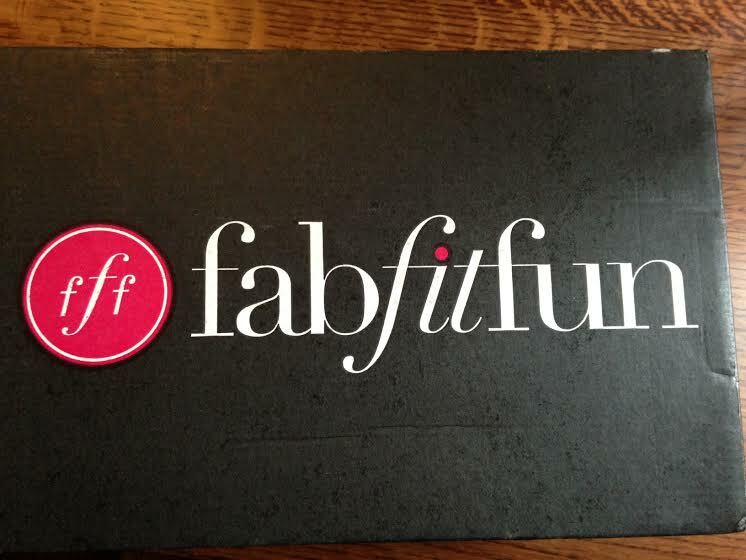 I got her a Birchbox subscription for her birthday and she was also excited to get a gift bag of leftover subscription box schwag that I gave her just because. She is just one of the greatest people in the world, and we always have such a good time and awesome conversations. Wish we could spend more time together. Mama, quit interrupting my terrorizing to take pictures! And as soon as he came home with his second cut, he was at it again trying to climb up on top of a big box of diapers; I caught him just as he was about to fall, and he LAUGHED. Seriously, how did I end up with a future X-Games competitor as a child? 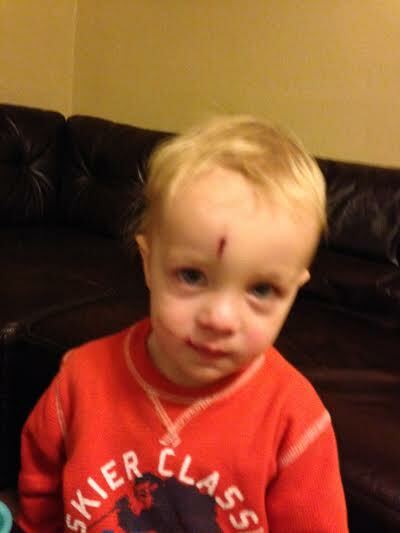 I blame his dad. So when I started this blog, it was over at Blogger, which is where I used to have a writing blog a long time ago. I had been away from blogging for awhile, and what I found out is that Google kind of ruined Blogger. So I migrated to WordPress this week and am having fun learning it. So much better. It is super snowy and icy here today, so Mike is working from home. I am finishing some freelance work and some schoolwork, then going to do some chores. What I want to do is snuggle up with a coffee and watch a movie, but duty calls. At least I have some candles going and, while my husband is on constant conference calls, it is nice to have company while we both work away. I think I have some good boxes coming today, so look for reviews later! Happy Thursday! And thanks, Jen, this was fun!